Mayfield Village …Funeral services will be held Saturday, April 13, 2019, at 9:00 a.m. at St. John the Baptist Orthodox Church, 301 Struthers-Liberty Road, Campbell, with the V. Rev. Andrew Nelko and the V. Rev. Joseph Wargo officiating, for Mary K. Libertin, formerly of Campbell, who passed away peacefully on Friday, April 5, 2019. Mary was born May 20, 1930, in Sharon, Pennsylvania, the daughter of Paul C. and Teresa Rhing Weaver. She was a 1948 graduate of Sharon High School and later moved to Campbell in 1955. Mary worked at First National Bank in Sharon and Sharon Steel in Farrell. She was also a devoted homemaker for her family. She was a parishioner of St. John the Baptist Orthodox Church in Campbell and the Altar and Rosary Society. Mary also participated in the Federated Orthodox Church of America. 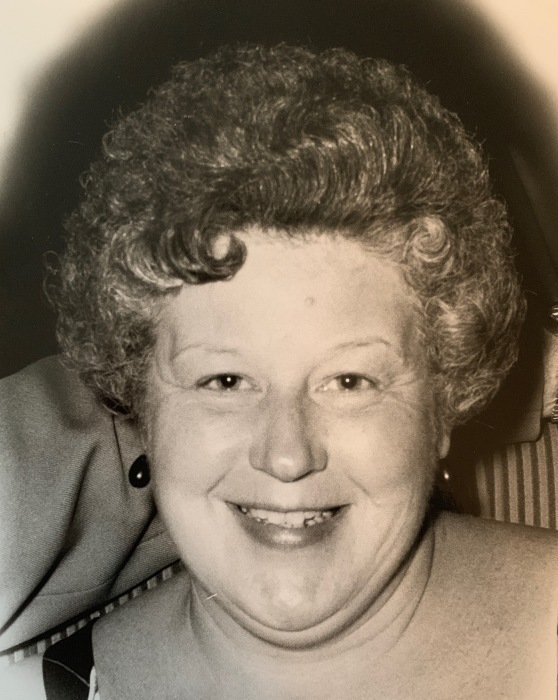 She was active in the Senior Citizens’ of Campbell, the University Club, the Every Third Tuesday Card Club, the Campbell Memorial Band Boosters, the PTA and the OSU Mother’s Club. Mary enjoyed swimming, crocheting afghans and slippers, baking cookies especially clothespin cookies, playing cards and dancing. Mary will be forever remembered and deeply missed by her husband of 63 years, Nicholas Libertin, whom she married July 30, 1955; her daughter, Charissa (Thomas) Oliphant of Kalamazoo, Michigan, her daughter-in-law, Colette S. Libertin of Green, OH; her son, Dr. Mark Libertin of Highland Heights, OH; her 13 grandchildren, Tim, David (Deanna), and Stephen Oliphant; Dr. Nicholas (Monica), Juliana, Christopher, and Maria Libertin; Michael, Dr. Rachael, Andrew, Anna, Joseph and John Libertin, and their mother Dr. Jessica Perse; three great-grandchildren, Noah, Grayson and Amelia Libertin; and many nieces; nephews; and godchildren. Besides her parents; she was preceded in death by her son, Dr. Nicholas Libertin; sisters, Phyllis Weaver, Florence (Ed) Cattron, and Margaret (David) Mealka; and her brother, Paul D. Weaver. The family would like to express sincere gratitude to the employees of Governor’s Village, for their excellent care and compassion during Mary’s stay there. The Libertin family has entrusted their loved one to the care of the Wasko Funeral Home and will receive family and friends Friday from 4-7:00 p.m. at the funeral home, where a Panahida service will be held at 7:00 p.m. In lieu of Flowers, donations may be made to St. John the Baptist Orthodox Perpetual Memorial Fund, 301 Struthers-Liberty Rd., Campbell, OH 44405.